"Fighting fraud starts with a single individual committed to the truth who has the courage to stand for integrity." You may be aware of high-stakes fraud cases making news when whistleblowers publicly expose corruption, executives go to jail and justice is served. Mention the names Madoff, Enron, WorldCom and most of us think of fraud, scandal, Ponzi schemes and the ruin of reputation and trust. What you may not see in every headline is the actual person behind the scenes, who bravely “blew the whistle” and exposed deceptive dealings. These honest individuals are not always publicly acknowledged – but under modern U.S. law, they are the unsung heroes, and may be compensated for exposing fraud against public programs. U.S. whistleblowers have been protected and encouraged to report and expose fraud since the Civil War. Under the law, whistleblowers can receive up to 30 percent of the amount recovered on behalf of the government. The government recognizes the importance of those individuals who have the courage and integrity to report dishonest activity in the workplace, including tax and securities fraud, stock market schemes and fraud perpetrated against various government programs, including government paid drugs and health care programs. Confronting fraud takes courage, integrity and perseverance. In the Ashcroft Law Firm, you have a powerful partner and advocate that you can trust. Our legal team is uniquely qualified to help you. We will steer you through complex whistleblower laws, advocate for government intervention and ensure you are protected and fairly and properly rewarded for your efforts. The Ashcroft Whistleblower Law practice is distinguished by a rich legacy. No other law firm in the U.S. boasts a higher concentration of expertise from former U.S. Attorneys and senior U.S. Department of Justice Officials, including John Ashcroft, the former Attorney General of the United States. 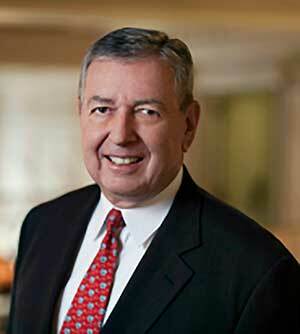 Founded by former U.S. Attorney General, Governor and United States Senator John Ashcroft, the firm’s select group of seasoned attorneys – many of whom led divisions in the U.S. Department of Justice investigating the Enron, WorldCom, ImClone, and other corporate and civic scandals – offers clients a powerful legal team that has returned billions of dollars to the U.S. Government, and millions to whistleblowers.